11" x 14" Watercolor and ink. This art was published as a full page "pin up" in the Halloween issue of SPONGEBOB Comics (October 2015). 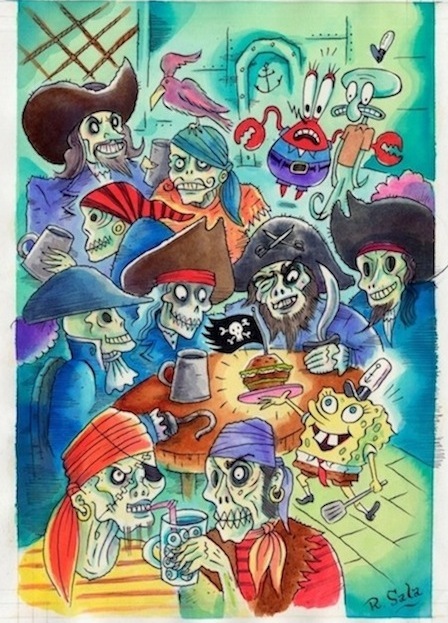 SpongeBob and Ghost Pirates. Some small changes were made to final image in photoshop before publication.